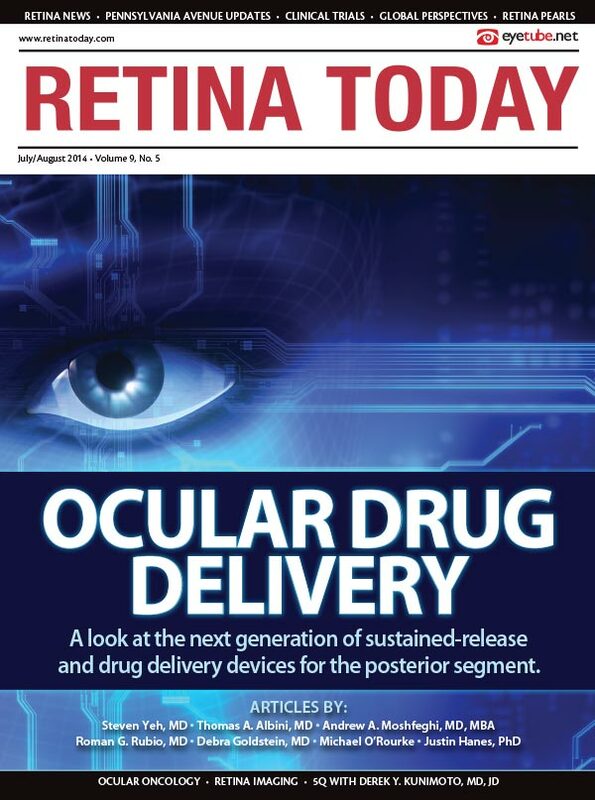 Derek Y. Kunimoto, MD, JD, is a co-managing partner at Retinal Consultants of Arizona and a director at Scottsdale Eye Surgery Center in Scottsdale, AZ. 1. You are a founding member of the Vit-Buckle Society (VBS). What was the goal of starting this society? The VBS founders wanted a forum for vitreoretinal surgeons recently out of training to discuss, share, and learn from the experiences of their peers. We were already doing this on an informal basis throughout fellowship and resolved to continue doing so in a more formal setting once we left fellowship. We are all friends and colleagues on the board. We enjoy each other’s company, and that is one of the reasons we wanted to formalize our meetings throughout the years. We wanted to have the ability to guide each other and learn from each other’s experiences throughout our careers. 2. What changes from the first VBS meeting in 2007 to its most recent meeting in Las Vegas have most excited you? Since 2007, VBS held 1 to 5 meetings per year associated with an established meeting. In 2013, we held our first standalone meeting in Miami. The 1st Annual VBS Meeting was very important to us, as we were taking the responsibility of an entire meeting upon our shoulders and wanted to make sure anyone who took the time to travel and attend would get something out of it. In fact, we made it our goal to have attendees conclude that VBS was the best meeting they have attended. It is a lofty goal, but one we took into the 2nd Annual VBS Meeting held in Las Vegas in March 2014. So rather than any specific change from 2007 to the present in VBS, I would point to the natural evolution from small dinner meetings to a medium-sized standalone meeting—with a focus on making our members participate, engage, challenge, and come away with a feeling of worthwhile time spent—as our most exciting feature. 3. Tell our readers about your experiences outside of medicine that have influenced your professional life. Prior to medical school, I studied law, which gave me a very different perspective of the world than medicine. Critiquing why and how society creates rules by which citizens interact is so different from learning the physiology and pathophysiology of organ systems, but in no way less practical. In medicine, this type of education helps on a daily basis, even with mundane issues such as thinking about medical malpractice exposure or contracting with employees. Following medical school, I worked in the business world as a management consultant. Working on teams to optimize the supply chain management of a medical products company or formulating a strategic growth plan for a startup is worlds apart from seeing macular degeneration patients or closing a macular hole, but the experience can be applied almost on a daily basis. In retina and all of medicine, we spend all our training hours learning patient care. This is of course essential, but all the business aspects of medicine are left to on-the-job training or passed on by word of mouth from partners and colleagues. Business exposure has been one of my outside experiences that has touched my professional life in so many ways, and I am grateful for it. 4. If you could do it all again—college, medical school, fellowship—what would you do differently? You are asking the wrong person, as I have already taken a very circuitous route as a professional student: Although I always knew I would end up in medicine, my path took me from studying law, to working as a management consultant at McKinsey & Co, to spending a year in Japan. In fact, by the time I finished medical school, I had lived in 3 foreign countries. But I treasure all that time and do not regret any delay in becoming a retina specialist. In fact, all those experiences helped to widen my perspective. And so I would say that, if anything, I would have spent 1 extra strategic year doing something that I could not do as a full time physician, based purely on interest and passion. 5. What do you like to do away from your professional responsibilities? My wife and I enjoy traveling, and we have taken it upon ourselves to pass this joy on to our son, who had 5 international trips on his passport by the time he turned 1. Traveling is so appealing to me because it teaches us about another country’s history and culture, making the world feel like a smaller place. Perhaps this is why I enjoy participating in international retina meetings so much. We are all fighting for the same good results for our patients, but doing it in slightly different ways because of slightly different training and resources available.